Don't you just love that saying? It is so true and something we all need to share more of in our crazy, busy lives. This card is rather special as it is a little different from your average style of card. 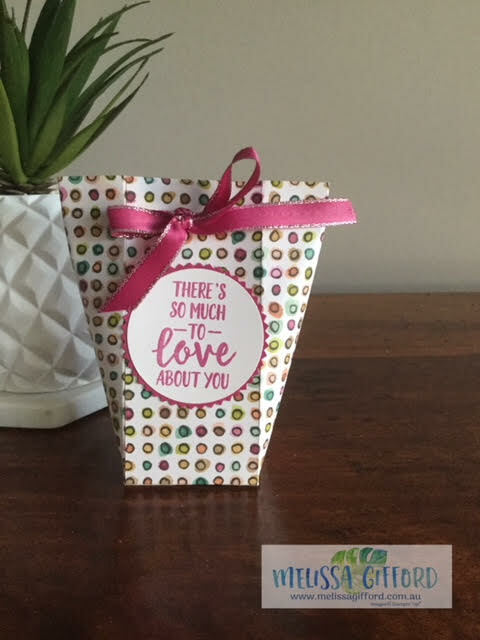 It shows how you can use one sheet of 12x12 designer series paper to make a trifold card, a small gift bag and still have enough left over to decorate your envelope! 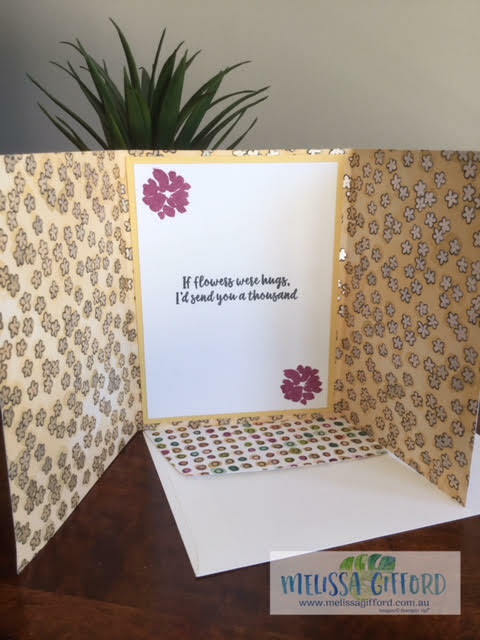 It was designed by Ronda Wade and she demonstrated it live on facebook last week. 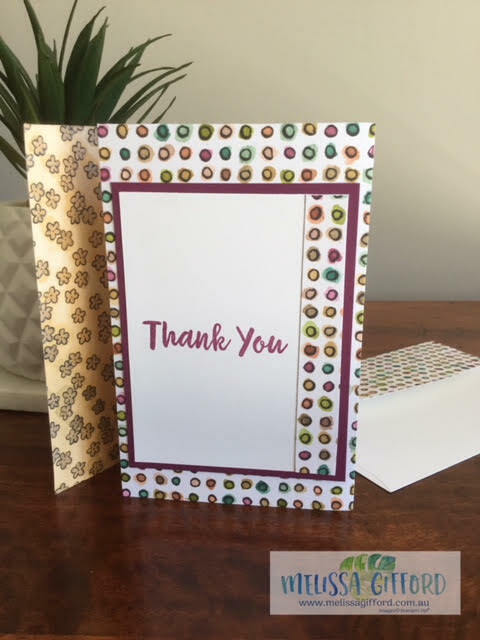 It is a lovely way to showcase both sides of our designer series papers - like this Share What You Love DSP. It is a little thicker than our usual papers making it perfect for this project. and some more beautiful words for the inside of the card. And here is the little bag made with the rest of the paper. Simple to make and a great size for a little gift like chocolate, gift voucher, scarf, socks etc. 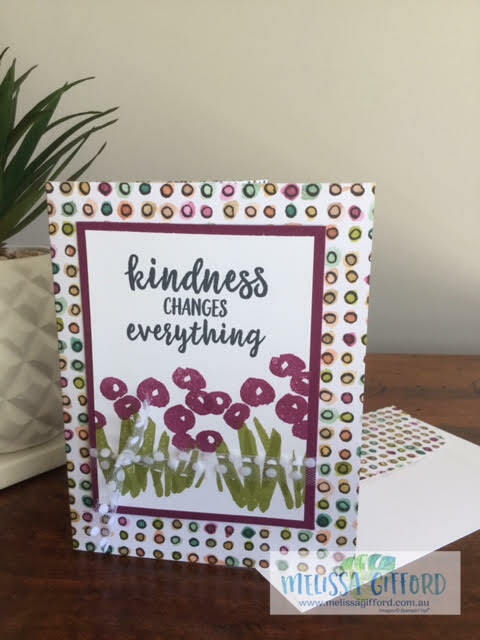 The stamped images on this project are from the Abstract Impressions stamp set - this one is going to be popular for sure! And there is a coordinating die set - Springtime Impressions thinlits so look out for that.